On Valentine’s day 2018, Admiral Harry Harris revealed that an evacuation plan for Non-essential personnel and military dependents was being developed for South Korea. A few weeks earlier the public was given a brief preview of this policy when almost-U.S. Ambassador to South Korea, Victor Cha, announced that he was dismissed by the Trump administration in part because of his resistance to undertaking an evacuation. In his words, an evacuation would provoke North Korea and hasten the pace of invasion plans by the White House. Admiral Harris’ testimony before Congress confirmed Cha’s incredulity regarding such a plan as he described the unrealistic logistics of moving thousands of American military dependents and potentially hundreds of thousands of U.S. citizens residing primarily in Seoul. Adm. Harris’ testimony is not encouraging, particularly in light of Trump’s ominous foreshadowing of a world-threatening “phase II” if another round of sanctions do not produce complete nuclear disarmament on the part of North Korea. From the island of O‘ahu, the response is: what about us? Seoul is 5 to 10 minutes from North Korean retaliation but Honolulu is only 15 minutes further away by ICBM. Where is our evacuation plan? The already unimpressive track record of U.S. nuclear interceptors has been joined by another very public failure of an interceptor test here in Hawai‘i. Add to this the lingering collective dread after our mistaken missile alert on January 13th of this year, and we want to know where our military-assisted evacuation plans are. Unlike South Korea which has thousands of bomb shelters, Honolulu has no approved public bomb shelters. This is a fact reinforced by recent statements by state civil defense authorities recommending that we all shelter in place despite the fact that most Honolulu homes are of wooden construction and do not have basements. We have nowhere to go, nowhere to hide, and we have received a taste of what it is like to wait for unstoppable death with those we love most. What makes our collective vulnerability all the more terrifying is the palpable panic on the faces of our active duty service personnel in our communities, classrooms, and families. They are being told to stop using hair conditioner (because radioactivity adheres to it), told to prepare themselves to die for their country in Korea, are being issued a new generation of body armor, trained for tunnel warfare, and tasked to move the last of the necessary tactical equipment to South Korea. States move B-2 bombers to Guam to send a signal to North Korea. They move body armor to Seoul to prepare for invasion. Here in Hawai‘i, we take the Trump administration at its word when they say there is no ‘bloody nose strike’ in the works. That is because we know a full-scale invasion is being planned. If this seems unthinkable on the mainland, consider how often you have said Donald Trump’s behavior was unthinkable just before he proved you wrong. If all of this seems alarmist, just read the news. Another career diplomat and one of the last veteran experts on North Korea, Joseph Yun, is unexpectedly retiring this Friday. The administration’s active pursuit of war is further corroborated by leaks inside the DoD that war planners were purposely slowing down the development of new scenarios for invading North Korea out of fear that it would empower Trump to enact one of the scenarios. To further complicate the possibility of peace, North Korea has responded to the weak U.S. offer of post-Olympic talks by staying that diplomacy cannot happen if nuclear disarmament and North Korean vulnerability are not negotiable. Further, the U.S. administration is trumpeting the U.N. announcement that North Korea is aiding Syria’s chemical weapons development; this is an accusation hauntingly reminiscent of the ramp up to invade Iraq. And as Honolulu Star-Advertiser journalist, William Cole, has confirmed, Fort Shafter here in Honolulu is furiously at work on a plan to evacuate the dependents of military and diplomatic personnel from South Korea. The graveness of the situation has been publicly underlined by statements from Senator Lindsey Graham and Senator Tammy Duckworth who both believe that war is an imminent threat to U.S. citizens. Finally, the troops, air power, naval power, and the munitions to supply them have all already been moved to the theatre of our impending war. The only thing left standing between the U.S. and war is a decision by President Donald Trump. The wrong people have been making the decisions over war and peace for too long and with tragic consequences. We have a generation of soldiers with PTSD, traumatic brain injury, and permanently life-altering wounds because President George W. Bush decided to prosecute a war of opportunity in Iraq. If President Donald Trump were to make a similar decision on the Korean peninsula, the consequences for the United States would be incomparably catastrophic. 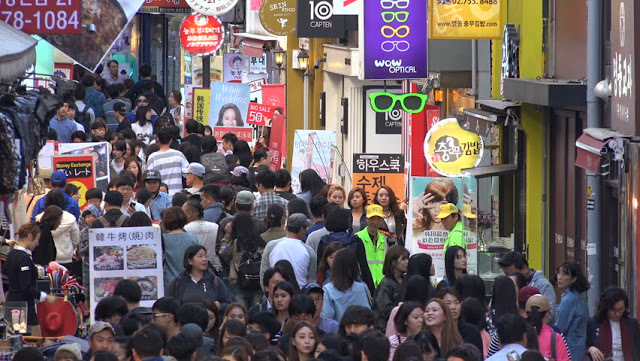 Figures reported by Adm. Harry Harris as well as regional expert and CSIS director Ralph Cossa estimate that more than 200,000 U.S. civilians would be in harm’s way in South Korea, 162,000 in Guam and another 1.4 million Americans would be targeted in Hawai’i. The overwhelming majority of all of these populations live just a few miles from the most probable military targets. Seoul, all of Guam, Pearl Harbor, Fort Shafter, are all densely populated civilian areas that would be engulfed in fire. Even in the best case scenario, that is, unprecedented accuracy and execution, 100 percent of U.S. missile interceptors would be spent before a small fraction of the potential nuclear missiles were launched by any of these powers. Many will certainly scream that this is exactly why we need a more robust national missile defense and they may be right. Unfortunately, this war is going to be fought in the next few months and in addition to the major technological breakthroughs that will need to occur at a pace we cannot control, even the construction and deployment of existing technology will take years. A future defense system cannot save my children in Hawai‘i and it will not save yours on the mainland either. We must demand the democratic control of war and peace now. Unlike the floundering development of the national missile defense system, the technology for U.S. war control was deployed March 4th, 1789. The U.S.
Constitution gives the war powers to Congress, a body held accountable by citizen voters, not an electoral college. The U.S. Congress can make peace with North Korea and begin the process of normalizing relations so that real diplomacy can begin for a lasting peace. The lesson of the Cold War is that diplomacy and the institutionalization of enmity saves lives. Nuclear hotlines, arms control treaties, and diplomacy save lives. 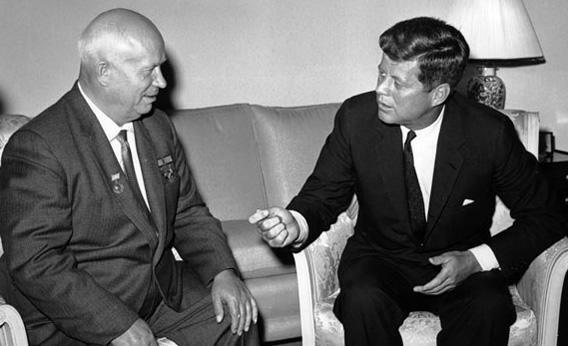 Deterrence did not save us from the Soviet menace; deterrence held each of the parties at bay until co-existence could be successfully negotiated. What would democratic control look like? To begin with, Congress should reciprocate North Korea’s public declaration not to use nuclear weapons offensively. At the same time that Congress declares our own nuclear no-first-use policy, it should direct Strategic Command that the President only has retaliatory nuclear authority. It must be made clear that this includes the use of so-called tactical nuclear weapons and nuclear bunker busters. Defanged of a nuclear first strike, Trump’s ability to escalate the conflict too quickly for Congress to act becomes equal parts impractical and unthinkable. The next step should be a concerted effort to normalize relations with North Korea and support the bilateral dialogue between North and South Korea. You cannot successfully negotiate with another country while you also have a stated policy of overthrowing the government of that country’s regime. Mutual recognition of sovereign equality is a precondition to any real discussion. If these efforts fail, if North Korea truly is undeterrable and launches their weapons, thereby committing national suicide, the U.S. is no worse off than it would be minutes after a preemptive invasion. We must exhaust real diplomacy or face a world in which sacrificing a few million Americans at a time is a rational foreign policy objective. Maximal Pressure is not a strategy for peace. It is a prelude to war and it must be stopped. Our President will not protect us. Our lives are in our hands and it is time to fight for survival.